With That’s Voiceover 2013 coming up on August 17th, we thought we’d check in with Alex Hyde-White, winner of the male narration contract at That’s Voiceover 2011. If Alex’s story inspires you to attend That’s Voiceover! and enter our contest, click here to register, and use code ACX2013 for a 20% discount on attendance! In August 2011, I was “just” an actor living in Hollywood. I was working with a voiceover demo producer when I saw an ad for the ACX Narration Contest during the upcoming That’s Voiceover! conference. I entered by reading the audition script for The Prince and the Pauper, which just happened to be in my wheelhouse. It was well recorded, thanks to the producer and her editor, and I won! The moment I saw my name on the screen at the Pacific Design Center with a packed house felt as good as a having top-billing at a premiere. Having never done an Audiobook read, and having never won a contest, I was speechless. But not for long. Now, I can’t stop talking. Thanks to ACX, I have over 40 titles produced, with a growing body of work on Audible. The open marketplace that ACX and Audible have created encourages anybody to try their hand (or their voice) at an audiobook. Now, when I say anybody, naturally I mean anybody who is motivated to start with some basic equipment, develop their craft, and find their style. Cloud-based and easy to navigate, ACX gives anyone in the U.S. the opportunity to post their demo and search for a good fit from the many titles on offer. In the hopes that others get as much out of ACX as I am, here are 4 things I have learned. 1. Start with two demos, one fiction and one non-fiction. Find something you like and want to revisit for fiction and something you are good at for non-fiction. For instance, if you like vampire novels, find a passage you enjoy reading and mark it for the emotional beats that resonate with you. For non-fiction, consider something familiar to you, perhaps related to your past or current work or career. For instance, if you have worked in hospitality at hotels or restaurants or are good at helping people and solving problems, you may be great at self-help or management titles. I have learned to bring a sense of the same authenticity and enthusiasm that the author has invested on the page when voicing nonfiction. If you have the time and a quiet space to experiment, record yourself and then find your best mastering specs. Keep it sounding natural and don’t get too caught up in the technical options, which are many. Remember, audiobooks don’t require heavy effects, and if you like what you hear technically and are happy with your read – then you have accomplished something to be proud of (Editor’s note: listen to samples and read listener reviews on Audible to get a sense of what sounds good to you and to listeners). You may want to record your first few books with an engineer for two reasons: to lighten the production load on yourself, to have another set of ears in the booth. The feedback you get and give will be a great two-way, win-win exercise. And you will end up with a great product. By beginning with a title less than 6 hours long, even as short as 1.5 hours, you will be creating and perfecting your craft under manageable conditions. Things such as deadlines, corrections and delivery protocols will be dealt with relatively simply without the burden of too much content. After all, the work necessary to produce 90 minutes is the same work necessary to produce 9 hours, there just more of it to do. Before committing to expensive equipment and software, invest in your talent by doing a short Royalty Share read without worrying about if it will sell enough. Even if it means you “lose money to make money.” Even if it means paying an engineer to produce it. You will feel like a pro and, without having to edit, you can focus on the read. You will grow from there. If you have the time and are technically able, by all means do both the recording and the editing. You will grow these skills more quickly, but be wary of biting off more than you can chew. You want this training period to be fun and rewarding, not discouraging. ACX provided me with an opportunity to get behind the mike and craft stories, from nonfiction to sci-fi. It gave me the opportunity to practice my craft and learn to listen and utilize my ear for accents and tone. I am thankful to ACX, Audible, and That’s Voiceover! for giving this veteran of TV and film an amazing new career . And we’re glad to have such talented actors on ACX willing to share their experiences. What advice would you give screen actors looking to break into audiobook production? Tell us below! 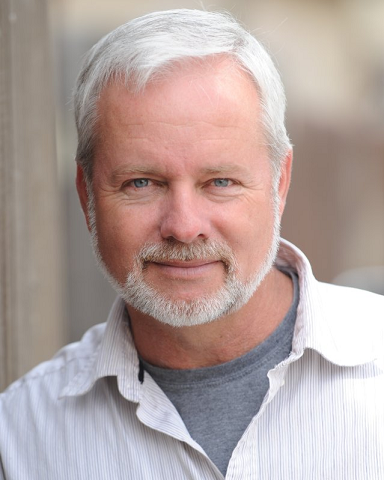 This entry was posted in Actors + Studio Pros, Uncategorized and tagged actor, ACX, alex hyde-white, audiobook, audiobook creation, Audiobook Creation Exchange, audiobook production, contest, narrator, producer, producer advice, thats voiceover. Bookmark the permalink. Hi Sharon, glad to have you on board! Check out our Rules For Audiobook Production page, as well as our Video Lessons and Resources page for more info. If you still have questions, email audio@acx.com and we’ll try to help you out. Good luck! Congratulations Alex! What a wonderful story! I am just putting the finishing touches on the home studio and will begin recording my first ACX book later this week. I appreciate very much the 4 tips. Thanks so much for sharing and I wish you continued good luck! I started in October 2011, had some guidance from another audiobook producer when I attended a seminar of his. I’m just finishing my 11th audiobook, have 12 and 13 scheduled. I’ve continually tried to improve my equipment, sound booth and my skills. My best advice: Don’t get discouraged if a book does not sell well, or, you get some negative feedback. Keep striving to improve and realize the best one to compete against is yourself.